Its essential to the production of energy by almost every cell and functions as an antioxidant to fight free radicals. Free radicals can cause oxidative stress which may damage cells**. 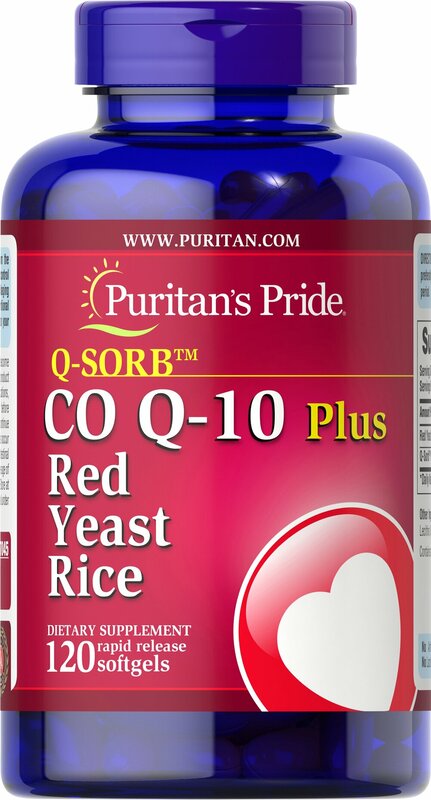 Puritan's Pride Co Q-10 formulation with Red Yeast Rice provides added support. Red Yeast Rice, which the Chinese have incorporated in their diet and health practices for centuries, is becoming an increasingly popular dietary supplement, and it's recommended to be taken with Coenzyme Q-10. No Artificial Flavor or Sweetener, No Preservatives, No Sugar, No Starch, No Milk, No Lactose, No Gluten, No Wheat, No Fish, Sodium Free.